The declaration of independence was not actually signed on July 4, 1776. Richard Henry Lee put forward a motion of independence on July 2, 1776, and 12 of the 13 colonies voted in favor (New York abstained from voting until July 9th, due to their home assembly not yet granting permission for them to do so). Thomas Jefferson drafted a statement—the basis of the Declaration of Independence—and from July 3rd through July 4th the members of the second continental congress debated over changes and alterations to make to the document. Finally, late on July 4th, the congress officially adopted the Declaration of Independence, which is why we celebrate Independence Day on this date. Nevertheless, the document wasn’t signed on at that time. After being adopted, it was sent to be officially “engrossed” on parchment in an ornamental hand. The document we have on display today was at last signed (by most delegates) on August 2nd. Numerous copies exist. After its adoption, the document was sent to the print shop of Philadelphian John Dunlap, who is thought to have reproduced hundreds of copies. These copies were then dispatched throughout the 13 colonies to be featured in newspapers and distributed to the public. The reproductions are known as “Dunlap Broadsides” and only 26 are known to survive today, three of which are privately owned. YOU could find a Dunlap Broadside! In 1989, in Philadelphia, a man found a Dunlap Broadside hidden in the back of a picture frame he had purchased for $4 at a local flea market. It was still in excellent condition and sold in 2000 for $8.1 million! Perhaps you have an iconic historical relic hanging on your walls right now?! There is a message on the back of the Declaration of Independence. Written upside-down in a plain hand across the bottom, the message reads “Original Declaration of Independence dated 4th July 1776”. The writer of the message is unknown, but one can certainly wonder at the audacity of this unknown author, both to write on this harrowed document and to record dates in day-month-year format (a truly horrid habit). No doubt Nicholas Cage would allege that this message is in fact a single, small clue in an otherwise extravagant treasure hunt encompassing all of U.S. history and a good portion of the Eastern Seaboard. However, most serious scholars believe it is a decidedly un-mysterious label written by a simple clerk for the practical purpose of storing the document during the Revolutionary War, when it was often rolled up and transported to different locations. One signer recanted his support for the Declaration of Independence. Richard Stockton of New Jersey was captured by British Soldiers on November 30. He was imprisoned as a traitor and war criminal and subjected to months of cruel treatment and inhospitable conditions. Following this lengthy inhumane treatment, and under the implicit threat of its perpetual continuity, Stockton renounced his support for the American Revolution and the Declaration of Independence and swore allegiance to King George III. He was able to gain his freedom later in the war and, though a broken man in both spirit and health, returned to New Jersey and took an oath of loyalty to the state. The primary author of the declaration of independence was Thomas Jefferson. 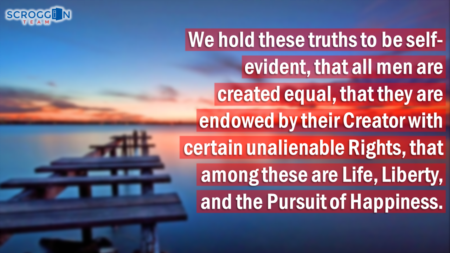 Though the final language was debated and altered before being adopted and later signed by Congress, Jefferson wrote the basis for the document and is responsible for penning most of it’s content as well as it’s most quoted passages. 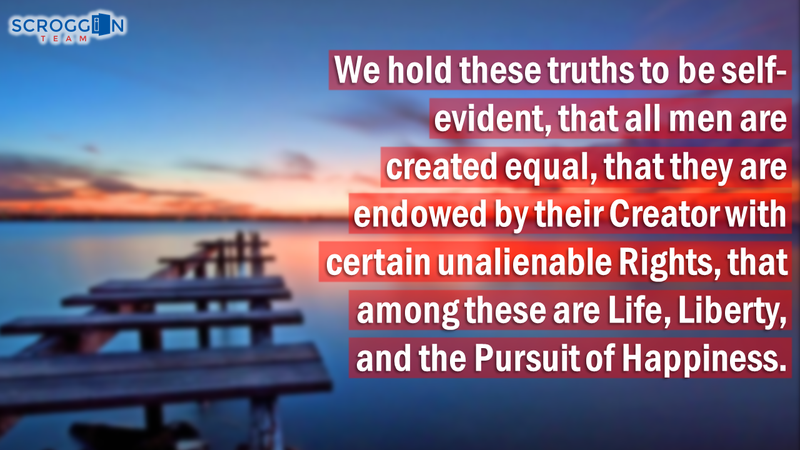 ”Life, liberty, and the pursuit of happiness” is a slightly altered version of philosopher John Locke’s rights of “life, liberty, and property”, from his “Two Treatises of Government” written in 1689. In fact, the language and principles in the Declaration of Independence drew heavily on the high ideals of the Enlightenment Movement of the late 17th and early-to-mid 18th century, which questioned long-established authorities and adopted rationalism and reason as a basis for morals and laws and authority to govern. The oldest member of the continental congress to sign the declaration of independence was Benjamin Franklin, at 70 yrs. Franklin lived just long enough to see victory in the Revolutionary War, dying shortly after Washington became the United States’ first president. The youngest member of the congress was Edward Rutledge, at 26 yrs old. If you ever have a desire for humility, just remember that this dude was kicking it old school with his boys T. Jefferson, Sam Adams, and B. Franklin, debating over the precise language of a document that would publicly and loudly denounce and insult the King of the British Empire, and ultimately lead to the creation of the greatest nation in the history of mankind—all in his mid-twenties, a time when most of us would have categorized our fondest memories as at least tangentially related to frat parties, sporting events, and youthful romances.